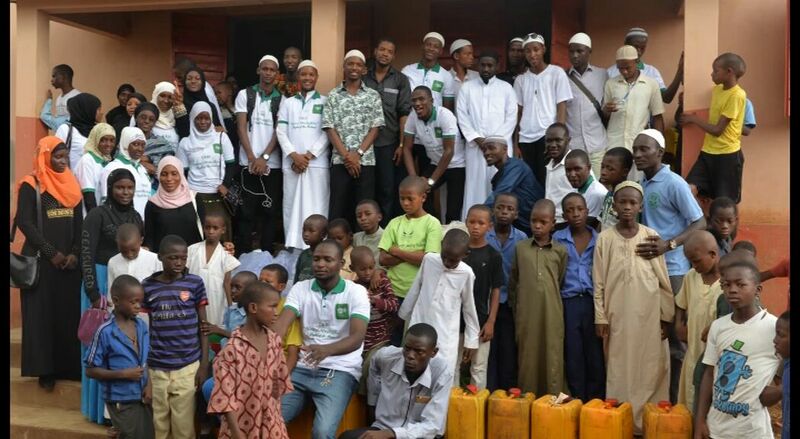 The Youths in Action for the Development of Islam (YADI) on Sunday 19th June provided food assistance to Orphans at Ibnul Abass Orphanage Center located at deep eye water, Freetown-Sierra leone. Ibn Battaal (may Allaah have mercy on him) said: “It is a duty for the one who hears this hadeeth to act upon it, so that he will be with the Prophet (peace and blessings of Allaah be upon him) in Paradise.” (Quoted by Ibn Hajar in Fath al-Baari, 10/436. So spending money on an orphan is something that is encouraged in particular. The Prophet (peace and blessings of Allaah be upon him) said: “This money is fresh and sweet. Blessed is the wealth of the Muslim, from which he gives to the poor, the orphan and the wayfarer” or as the Prophet (peace and blessings of Allaah be upon him) said it. Narrated by al-Bukhaari, 1465; Muslim, 1052. So we Pray to Allah to accept this little effort from us and reward all those donated, sacrificed their time and service to this course. Ameen. Next YADI Cares For The Orphans!